I bought several ounces of this Charles Fairmorn tobacco in bulk from Mars Cigarsa while back, and have been enjoying it immensely. It's a dark, nearly black broken flake of latakia and virginias, wonderfully pungent in the bag, rich with the same manly virtues one finds in campfires, barbecue, and jerky. I usually rub it out a bit before packing. Deeply smoky, darkly sweet -- it's not busy with orientals or other components, but is extraordinarily satisfying. Once I get it lit, it burns very well. A cigar tobacconist I frequent for good pipe tobacco gave me a sample of something sliced that sounds quite similar to what you described. He said he couldn't sell it because it cost too much and only gave me a sample because he knew I was a picky pipe smoker. He said if he was to sell it he'd have to charge $20 an ounce. Is Charles Fairmorn that pricey or was he feeding me a line? No. While it's hard to find because not many folks sell it, you can get 8 oz. of this wonderful stuff at Mars for $15. I wonder what he was giving you? I've read reviews of some interesting sounding blends from Comptons of Galashiel's, which are really pricey, though not a straight latakia/VA flake. He didn't know the name, he said he got it in addition to a cigar shipment. (His shop is more for cigars than pipes.) But your descriptions of the color, the smell, the smoke, all sound exactly like this stuff. So he must have just been throwing out a number to impress me. He and his shop reminds of something right out of the Soprano's, (his name is even Tony) so I don't ask too many questions. Plus he just sold me an amazingly beautiful estate Savinelli for $25, so no bickering of prices will be escaping my lips. It didn't come with tin foil and a glass straw, did it? Does your tobacconist have "the" as a middle name? I'd like to try a flake with latakia in it. Might have to try this one. ryland wrote: I'd like to try a flake with latakia in it. Might have to try this one. Do it. I prefer it even to Penzance. If you buy tobacco in bulk and like latakia, I heartily recommend this blend. You can find reviews of it here. First pipe in ages, I popped open a nine-year-old jar of this stuff. Wow. Smoky and smoovealicious, with pungent Latakia undercurrents. Still one of my all-time favorites. Perhaps my very favorite. Smoking this old tobacco made me think of this old forum, and all of the laughs, prayers, and fellowship it provided me years ago. Praying with gratitude for all you CPSers, old and new, those still here and those gone on to their reward. (Brother Nikolai, pray for us!) May God bless, keep, and use us all, to His greater glory. Greetings! You're the guy that used to send free books. Thanks again for that. Lancers Slices are awesome, but for me just a very little bit went a very long way. They laid me on the floor more than once or twice. Haven't had any in years. I sent out a good size sample bag of Lancer's Slices in this years box pass. I think Hugo's dog enjoyed it. Any new kids? Or kid brothers? I was never much of a latakia fan... enjoy an occasional tin as a treat, now and then. But I am eternally grateful to other brother Munkey's awesome review of Samuel Gawith's Best Brown Flake. That one made a virginia smoker out of me! 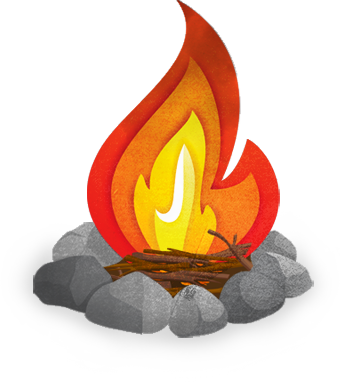 It's one of the campfire-iest smelling blends around.